One of the pillars of Lever Touch is undoubtedly its technical excellence. 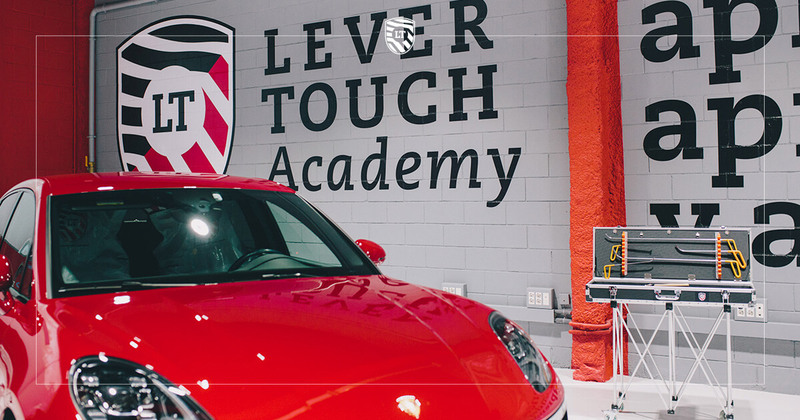 It’s mostly to maintain our quality standards that we founded the Lever Touch Academy, a “school” created to train our new professionals, thus ensuring that the expansion of the company’s infrastructure goes hand in hand with the growth of its human resources. 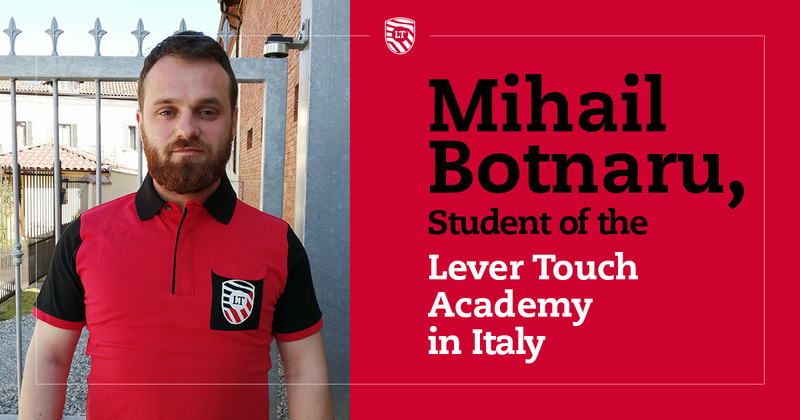 Our goal for this 2019 is the training of new technicians in the two Lever Touch Academies, located in Italy and Spain, so that they can take part in the hail season of 2019. Specific technical training based on the vehicle model and its manufacturer. This year, during the training, a particular attention will be paid to hybrid cars, whose repair, due to the electrostatic charge, is particularly delicate. 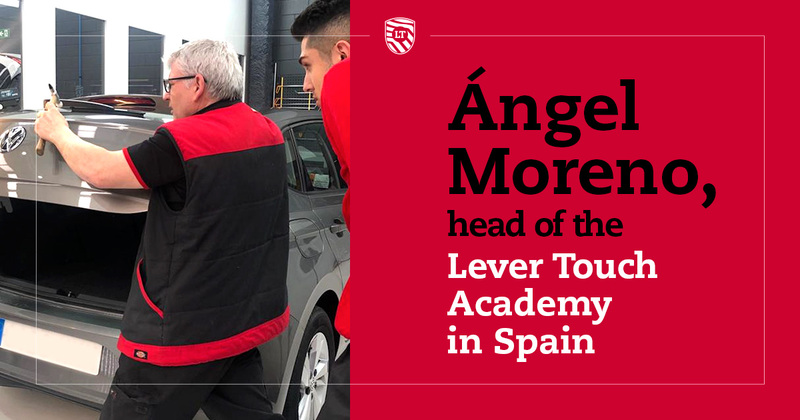 To learn more about how the Lever Touch Academy works, read below the interviews we made to some students and to the head of the Spanish Academy. 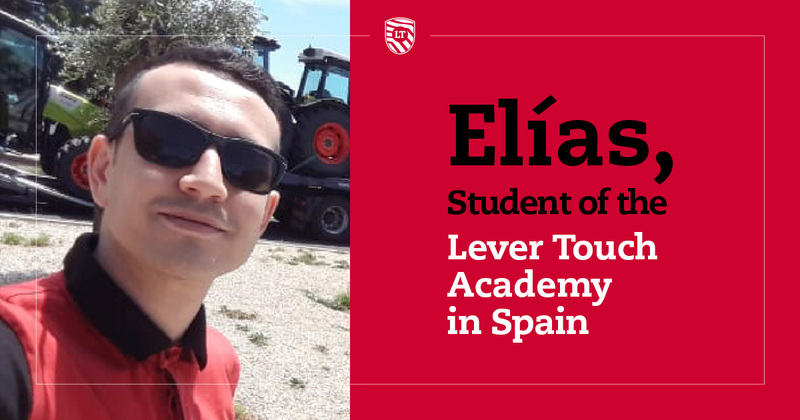 What are you looking for in a Lever Touch Academy student? At Lever Touch, we want people who are willing to commit and believe in the values and in the vision of the company. Being a PDR technician requires sacrifices and a great willingness to learn. Future students at the Academy must be able to get in the game, at anytime. Which skills will be acquired at the end of the Academy? Acquiring skills is very hard and takes several years. It’s a matter of constant commitment, people who want to be professionals for real must keep practicing even after the duration of the Academy. In conclusion, it’s very important to continue practicing, in order to consolidate the knowledge acquired during the Academy period. What’s the difference between the Lever Touch method and the one of other companies? We spend a lot of time on training. In many cases, students are only placed in the PDR sector after a short training period, and the risk of making mistakes is very high. Here at Lever Touch, however, we continue to train people until they can repair a vehicle on their own, without the support of an expert. They’ll be the experts! We value the learning time. The secret, then, is to spend more time in teaching and practicing. How important is the continuous training in the automotive sector? It’s very important, otherwise a technician will never be able to repair a vehicle. If you decide to train people, you have to take into account the continuity of the training. Training must necessarily be aligned with the constant technological evolution in the automotive sector. What would you say to someone who wants to become a PDR technician? The first question would be: will you be able to travel? The most of the time, you’ll be traveling, so you’re often away from home. A PDR technician should be able to easily adapt to different places, cultures and people. Most of the time, you have to work with people you don’t know. Above all, it’s fundamental to do teamwork. This may be difficult for some, but for me it’s one of the most interesting features of this job. Getting bored is impossible, you are always discovering new things. Where does your passion for the automotive sector come from? This world has always fascinated me, I have always wanted to be part of it. Do you have any skills as a PDR technician? Before arriving at Lever Touch, I didn’t know anything. This is the first time I’ve challenged myself to learn how to repair cars and discover the various elements they are made of. What do you like the most about being a PDR expert? 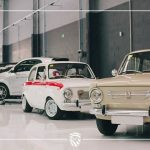 I will be able to repair a car with the PDR techniques. I will bring every single vehicle back to its perfect original state, and people will barely notice that someone intervened to repair it. It’s as meticulous as the work of a craftsman. Did you know Lever Touch before being hired? I got to know Lever Touch thanks to the Country Manager of the Spanish branch, Marcos Hidalgo, who hired me. From that moment on, I started to discover the PDR sector; it attracts me every day more. What brought you to be part of the company? I wanted to become a PDR professional. What’s the thing you like the most about the company? The commitment and the seriousness. At Lever Touch, people get involved in every project and never leave a vehicle to the client till it’s perfect. What do you expect from the Academy? As soon as I finish my training period, I hope to continue practicing in the same company and become a professional, so that I can put into practice everything I have learned. I’ve been loving cars since I was a child, I always liked to find out what material they were made of. I learned all the techniques here at Lever Touch. For what concerns mechanics in general, I attended a one-year course and also attended a 3 months training. It charms me a lot, mostly by the fact that PDR repair is carried out in such a short time and in a perfect way. This allows to save time and repair more vehicles. It’s a perfect technique. Yes: three years ago, while I was working in Madrid, I discovered Lever Touch. 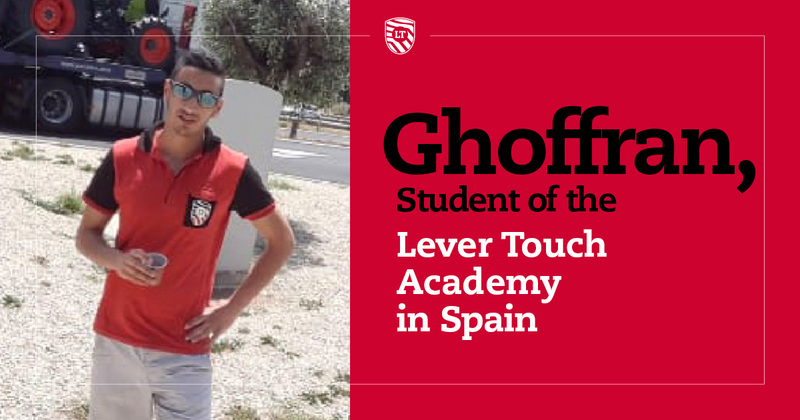 Fortunately, I’ve been hired and now I am a Lever Touch Academy student. I wanted to know this world and learn how to be a good PDR technician. It’s such an interesting job! I would say the brand image, the quality of every product and the well-organized repair process. I want to become a PDR technician with all the skills required. When I was a child, I was passionate about any TV show that had anything to do with this sector. I was crazy about F1! No one. I had no skills, I learned everything in the Academy. It’s such a special job, all the technicians must have the same precision as surgeons, in order to repair a vehicle to perfection. Plus, you need a lot of patience. At a certain age, I decided to turn this passion into a real way of life. So, I decided to seize the opportunity offered by Lever Touch. The fact that you’re always working in different places. Thanks to this job, I can visit wonderful places and get to know many new cultures. For what concerns the human enhancement, I am very happy and satisfied, because meritocracy is the only method of judgement used towards the employees of the company. The Paint less Dent Removal Training Academy teaches students step-by-step how to remove small dents on top and side panels, and how to tackle more elaborate repairs such as hail damage. I hope I can gain enough experience in order to start repairing vehicles on my own and become a real Hail Repair Specialist. Besides the internal courses (which are made in the Barcelona Express Repair Center) and the external ones (which are made where hail falls), Lever Touch also extends the training to partners and customers. Paintless Dent Removal Training is an art and teaching it is what we do. If you are interested in our courses, if you want to improve the services of your center or if you want your employees to acquire more skills, send an email to the following address: info@levertouch.com.